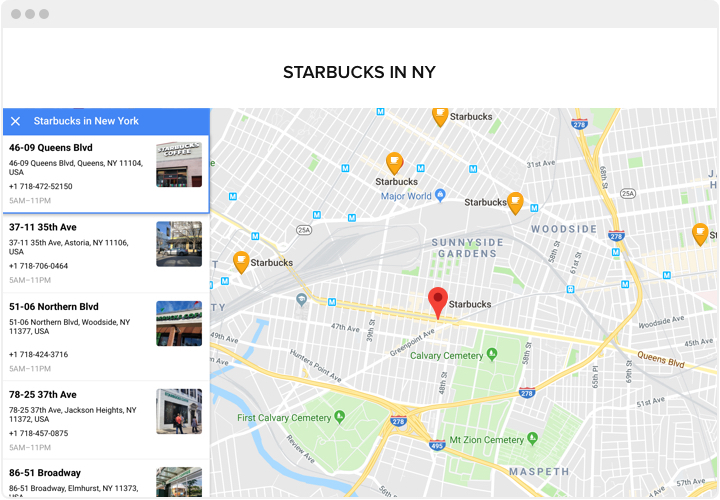 This effective and fully customized instrument with trouble-free setup makes it simple for your visitors to find locations for your visitors. 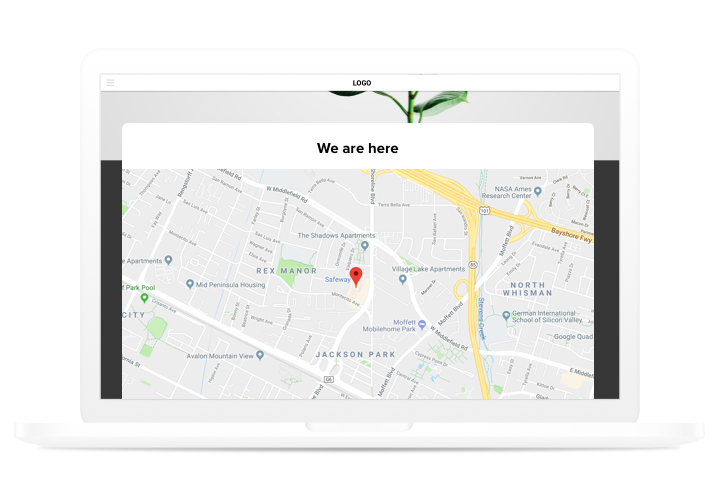 Effective in attracting offline customers, quick setup and configuring make it perhaps the best instrument for every Shopify website.Attract more real-life visitors showing the most user-friendly maps on your website! 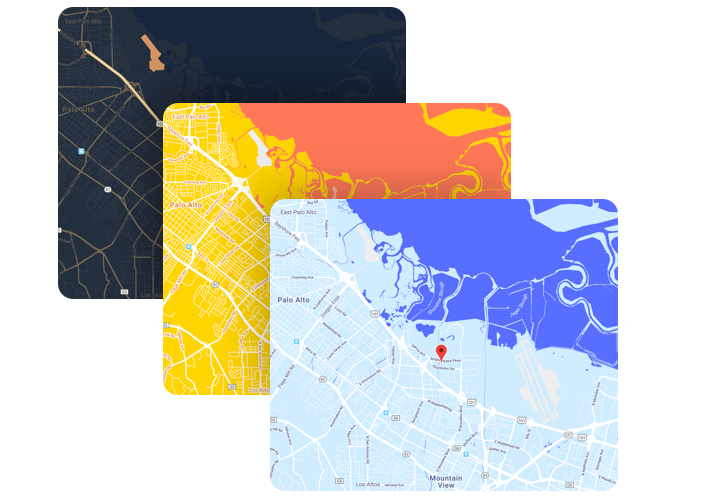 Increase interaction with your customers with maps. 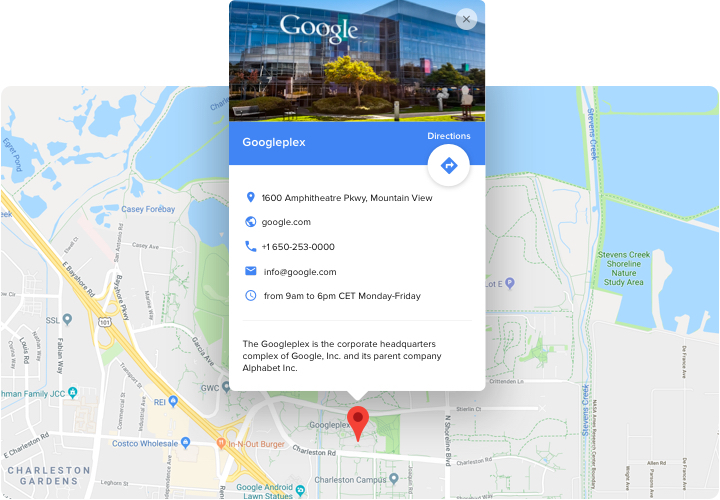 Design your map to be useful for potential clients and show it on your site, so that they get to use your contact information more efficiently. Search and attract regional customers. 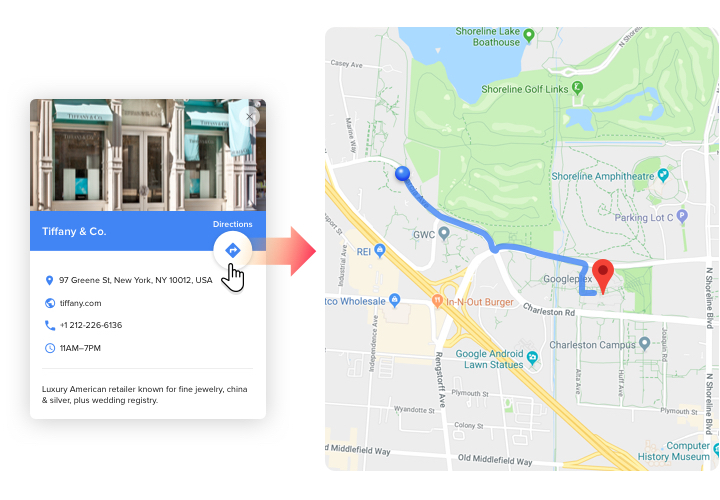 Design your map to be useful for potential clients and show it on your site, so that they get to use your contact information more efficiently. Show an infinite number of locations on one map. Don’t limit the quantity of your poiтts on the map, display everything that may be important and entertaining for your users. What advantages turn Elfsight map into the best for every Shopify site? Check full set of functions in demo! A concise manual on installing responsive maps on Shopify on your own. For doing this, you don’t need to hire a web developer or have abilities in web programming. Average installation time is no longer than 2 minutes. Install the app. Press «Get» button, to show the app on a Shopify web-store. Generate the app. Insert the data of the app: content and options of the design. Acquire a widget code. Insert the app to the webpage. Go to «pages» category and open the page to display the app. Then, add the code in HTML format and apply the edits. Done!. Go to Shopify site, to view your app! Having issues or questions while following the tutorial or setting up your unique map? 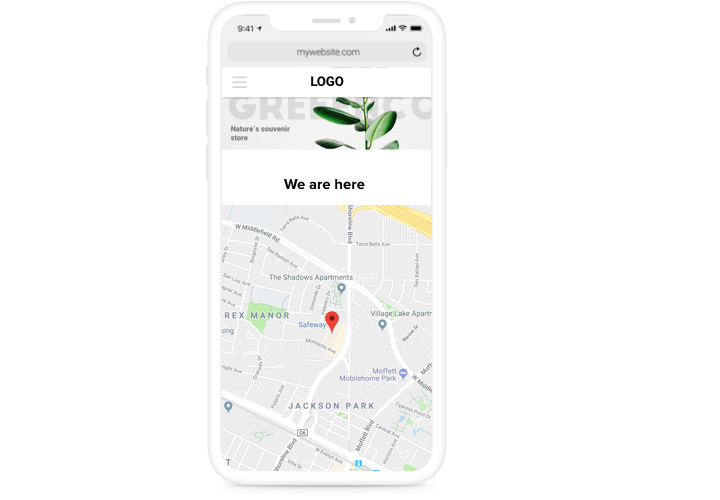 Read full article «How to add a map on Shopify site» or contact help center and our support team will be pleased to help you in generating and displaying maps on your website.